Sketch is a very versatile tool which you can use on a daily basis for your work as a web and application designer. In this tutorial I will introduce you to the artboard, layer, drop-shadow, inner-shadow, text, border and fill functionalities within Sketch, and show you how to use it to create a simple, eye-catching icon. At the top, you get the tools to design (rectangle, triangle, etc.). The left panel is where your layers are. In the middle is an infinite canvas where you can design. On the right you get the settings for each of the selected tools. Choose iPad screens > Landscape. You can see it now in the layers panel on the left. If you have a small screen size, don’t forget to zoom out to see the whole art board by pressing Command-Hyphen (-). So, we have an iPad artboard which is 1024 px wide and 768 px high. Let’s begin by adding the background. To do so, press the R key (or go to Insert > Shape > Rectangle), click on your artboard, and drag your mouse/finger to make a little rectangle. You can see it now in your layer panel. Rename it Background. Let’s add some style. Go to Borders and uncheck it. Now, add the gradient by clicking on the default gray color in the fills property. A dropdown menu will show up with five options: Flat Color, Linear Gradient, Radial Gradient, Angular Gradient, Pattern Fill, and Noise Fill. Let’s set the colors. Sketch allows you to change between the Hexadecimal value, RGBA and HSBA by clicking on the RGB or HSB label. I am more familiar with HSBA, so for the color in the center I choose H190, S50, B100, A100, and for the one on the extremity I choose H210, S50, B100, A100. We will now create the icon which contains the droplet. To do so, add a new rectangle. Press R, and click and drag. Then rename your new layer icon. Set the Border Radius to 144, and as with the Background layer, uncheck the border and then fill the icon by choosing a white, flat color. In these final steps you will learn to create a water droplet icon with Sketch. First we need an oval, so press O (or go to Insert > Shape > Oval), and define its size as Width: 200 and Height: 200. 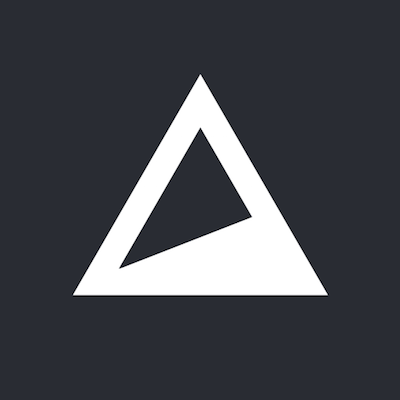 Next, create a triangle by going to Insert > Shape > Triangle (no shortcut for this one). Go to the right panel, check Equilateral, and set the Width to 200 and Height to 200. Select the two layers and click on the Union button, which is in the top part of the Sketch interface. Now that we have our droplet shape, we’ll add the final touch to make it more user-friendly by adding the radius on top of it. To do so, select your shape and click on the Edit tool, which is in the top toolbar. Luckily, the first dot selected is the one we want to edit. Go to the right panel and change the Corners value to 34. And now the final step: the style! First uncheck the border, and then fill the shape with a radial gradient. Make the center value H190, S70, B100, A100, and the bottom value H210, S70, B100, A100. Thank you for reading the tutorial. I hope it helped you learn to use some of the fundamental tools available within Sketch. Don’t hesitate to ask questions in the comments below.